The goal of the Arctic Safety Cluster is to anticipate and ensure the smooth operating of business activities. Lapland’s location, sparse population, natural conditions and large numbers of travellers require risk management expertise, Arctic expertise, and network competence. Lapland’s sparsely populated areas and low resources require all actors to join forces. Together, the businesses, authorities, research and educational organisations, municipalities and organisations form a safety network that ensures the safety of the residents and the smooth operation of businesses. Arctic safety means responsibility at the individual, business, organisation and regional level. The Arctic Safety Cluster is composed of the safety of tourism and everyday life. The cluster’s beneficiaries include local businesses, residents, travellers, industries and the environment. 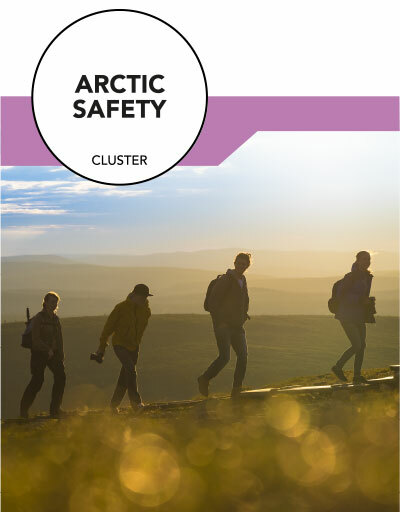 The cluster’s activities and actors can be found on the cluster’s website www.arcticsafety.fi. The cluster’s objective is to produce a visible and recognised network that brings added value to the competitiveness, internationalisation and vitality of the businesses, network actors and region. The cluster’s activities in international networks are significant and international funding is channelled to the region and its actors. The competitiveness and appeal of tourism in Lapland are based on its natural conditions and their sustainable use. The tourism safety network, which has been built together with businesses in the region and tourism areas over several years, is an operating model based on trust and cooperation. Safety is a central part of the quality and competitiveness of tourism businesses. Cooperation, information exchange and joint development interests solidify the network operations and bring added value to all parties. The tourism safety cluster consists of tourism businesses and other businesses that serve the field. In addition, key actors in the cluster include support and development organisations, which support and serve business activities, as well as institutes of higher education and research institutions. The tourism safety cluster is already strong both in Lapland as well as nationally, but it has also become widely networked on an international level. Lapland has joined the Network of European Regions for Competitive and Sustainable Tourism (NECSTouR). In the UArctic network, Lapland coordinates the sub-theme called Tourism Safety, under the thematic network for Safety and Security. In addition, the Digitalisation and Safety for Tourism theme network, which is also coordinated by Lapland, has been accepted into the European Smart Specialisation Platform. Civil safety is about ensuring the well-being and safety of residents, businesses and other actors in peripheral, sparsely populated areas. It is a multi-sectoral and multiple entity that promotes involvement, services and businesses. 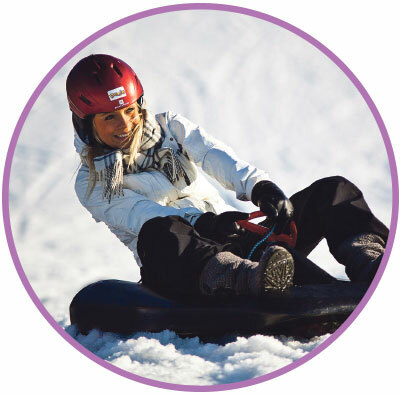 Civil safety facilitates the provision of high levels of standards of living, well-being and employ-ment in Lapland – now and in the future. The local and regional resources can be efficiently allocated to the needs of municipal residents through cooperation between the residents, organisations and businesses. The management of resources and moving the focus from corrective to preventive work are at the core. Civil safety has also been under development on a national level for several years. The civil safety operating model, which is based on network cooperation and joint management of resources, was developed in Lapland in 2004–2007. The core of the operations is extensive cooperation between the political and official management of municipalities, organisations, village associations, educational institutes, the parish and entrepreneurs. Civil safety has also been seen as a good operating method in the EU. The European Institute of Public Administration (EIPA) has granted the European Public Sector Award (EPSA) on regional innovation to Lapland’s civil safety operating model.